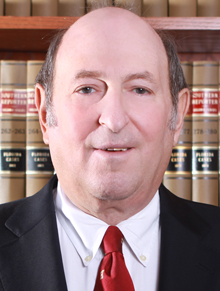 Mr. Silverman began his career in 1972 as a Law Clerk to Judge Henry Ellenbogen, President Judge of the Court of Common Pleas, Allegheny County, Pennsylvania. While serving his clerkship, Mr. Silverman represented dozens of individuals accused of being incompetent by the Allegheny County Mental Health Authorities and handled all guardianship hearings related to such charges. Mr. Silverman then served as in-house Corporate Counsel to Westinghouse Electric Corporation (then a Fortune 500 Company) where he was assigned to Westinghouse Credit Corporation, its lending subsidiary. In that capacity, he handled complex, multi-million dollar loan transactions across the United States, including aircraft financing, lot sale financing, financing sales/expansions of businesses, real estate financing, and floor-plan/inventory financing. Recognizing that tax treatment/consequences were an integral part of these commercial transactions, he then attended the Graduate Tax Program at New York University and obtained an LL.M in Taxation. From there, in 1975, Mr. Silverman came to Florida to enter private practice where he chose to specialize in Estates, Trusts and Estate Planning. He taught courses on the same subjects as an Adjunct Professor at Florida Atlantic University from 1976 to 2003. In 1986, because of his extensive knowledge and experience, Mr. Silverman was selected as Chairman of the Probate and Guardianship Committee of the Palm Beach County Bar Association. He is a Florida Bar Board Certified Tax Lawyer (since 1985), a frequent lecturer on various tax related subjects, and has written extensively on legal/tax planning concepts and strategies. The Miami Herald; National Business Institute, Inc. The Pennsylvania Dead Man’s Rule: A Decedent’s Delight, 11 Duquesne Law Review, 313. Best Ways to Protect Your Professional and Personal Assets, Physician’s Management Magazine. How to Guard Against Creditor Claims in Florida, Offshore Investment Magazine. Abuse of the Elderly through Fraud and Deception, The Psychiatric Hospital Magazine. Co-Author, Practical Estate Planning Techniques in Florida; Estate and Protective Planning Techniques in Florida; Basic Probate Procedures and Practice in Florida, National Business Institute, Inc. Co-Author, Successful Florida Family Business Succession Planning, National Business Institute, Inc.
Doctor’s Malpractice Defenses: How to Protect Against Creditor’s Claims in Florida. Estate Planning for the Florida Resident (Five editions).